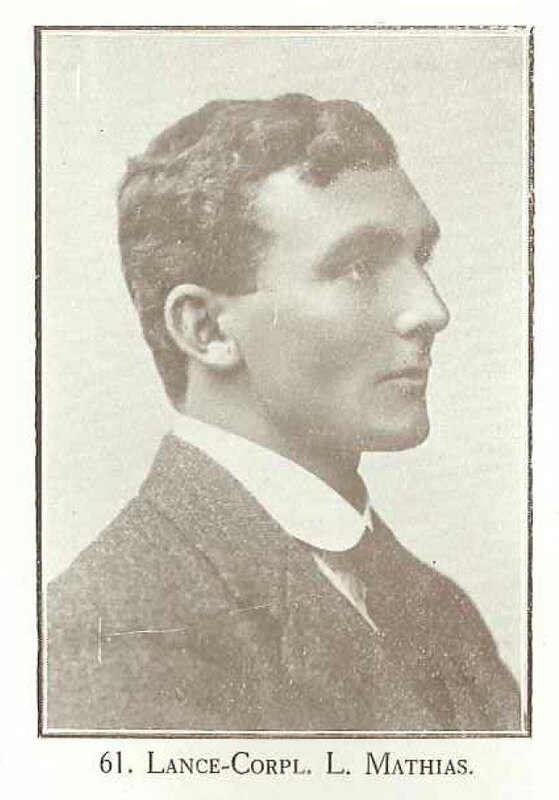 Son of Mr Lewis and Mrs Edith Caroline Mathias, P.O.Box 191, Timaru, New Zealand. Lewsi's father was a farmer. Brother of Ada Mary born 1884, Annie Catherine born 1885, Helen born 1886, Owen born 1889 and, perhaps Charles Lawes.